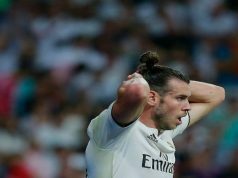 Real Madrid secured the top spot in La Liga despite their not wholly convincing performance against Deportivo de La Coruna. The Galicians played a great game, but the quality of Los Blancos attackers made the difference. Goals from Isco and Karim Benzema saw Carlo Ancelotti men get back to winning ways after their painful defeat at the Vicente Calderon against Atletico Madrid. The visitors looked dangerous at the start and were close to taking the lead. Iker Casillas denied Isaac Cuenca’s powerful strike from short-range and another effort from Lucas Perez deflected off a defender. Los Blancos showed defensive weakness, but their attackers were in better shape. 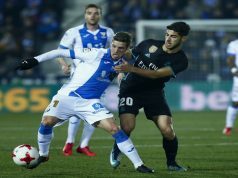 The hosts responded to Depor’s early chances with two shots off the bar. Cristiano Ronaldo and Gareth Bale were close to scoring from mid-range, but their efforts hit the bar. Isco was Los Merengues best player by far, and he opened the score in the 23rd minute. Benzema headed a Bale cross to Ronaldo but the Portuguese missed the ball. Alvaro Arbeloa caught it on the goal-line and sent it back to Isco, who curled a precise shot into the bottom corner. Despite the goal, Deportivo kept battling and making Real feel uncomfortable. Yet Los Blancos threatened Fabricio in every counter-attack with Bale’s speed as their main weapon. Victor Fernandez men had their best chance at the beginning for the second half, as Celso Borges caught a loose ball and fired it towards goal, but it hit the upright. 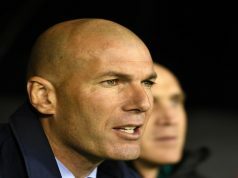 Depor’s midfielders looked fresher and Madrid struggled to control the possession. 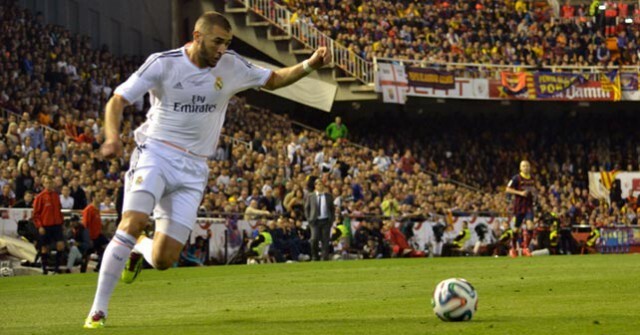 Yet Benzema made it 2-0 dinking the ball over the keeper after receiving an assist from Ronaldo. Lucas Silva made his debut with 20 minutes to go, replacing Asier Illarramendi. In the last minutes, Ronaldo had a great chance to make it 3-0 but his shot went wide of the post.